The F3 Raleigh PAX frequently dontae their time, talents, and funds to many worthy causes. Some of these include Haven House, Neighbor 2 Neighbor, and Healing Transitions of Wake County. Continue reading to get the information you need to help make a difference! Check this Google Doc in order to sign up to volunteer! 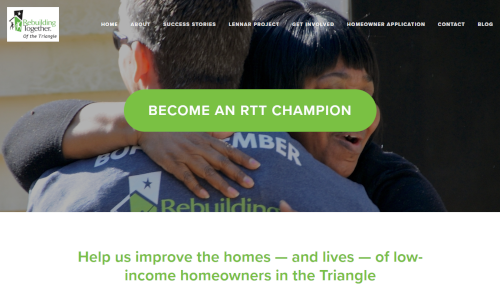 F3 Raleigh and F3 Disaster Ops are pleased to announce our partnership with Rebuilding Together of the Triangle (www.rttriangle.org), Disaster Assistance Relief Teams of Wilmington (www.dartilm.org) and F3 Cape Fear as we strive to rebuild the Whitestocking Road community in Burgaw, NC. revitalizing homes in underserved and low-income communities. 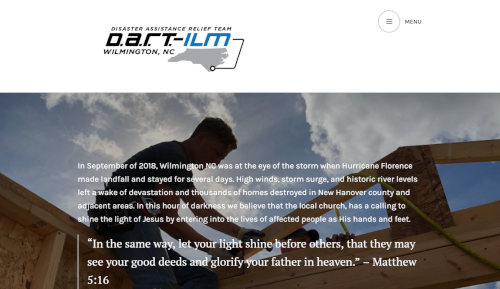 DART-ILM is a Wilmington faith based group providing on the ground intel and coordination of "hands and feet". So you ask, what can I do to help out? Here are three direct ways each pax can make a difference. Consider asking your employer about disaster relief grants and gifts. Many corporations have a desire to help but are unaware of specific needs. You can direct them to this effort. All it requires is you asking! At a minimum, employers will likely match employee donations, thereby doubling the impact of any donation you may be led to give. BOOM! As you know, many pax have headed east to this community since the beginning of October to "muck and gut" homes flooded by Florence. Each pax, and their M's and 2.0s, have been deeply moved and affected by the devastation. Here's the challenge, give one Saturday each quarter! That's it! Connect with BurgerFeet (978-807-4403) or Borland (919-793-7450) when you're ready. Pray and communicate! Please pray that sustained funding will continue and our partnership will distribute donations wisely resulting in the greatest impact. If the normal mumble chatterers are not at an AO, and you know who they are, disrupt the status quo and discuss this effort at COT and ask for prayers. Consider yourselves empowered and ready to make an impact! Aye?